At Gann, you’ll be immersed in Jewish values and have powerful Jewish experiences with a diverse community of your peers. While there are times dedicated exclusively to Jewish learning, more often, Jewish life at Gann is experienced in the day-to-day happenings on campus — a drama performance that raises money for charity in line with Jewish values, a philosophy class that teaches Jewish sources, or an a capella group singing Hebrew songs. 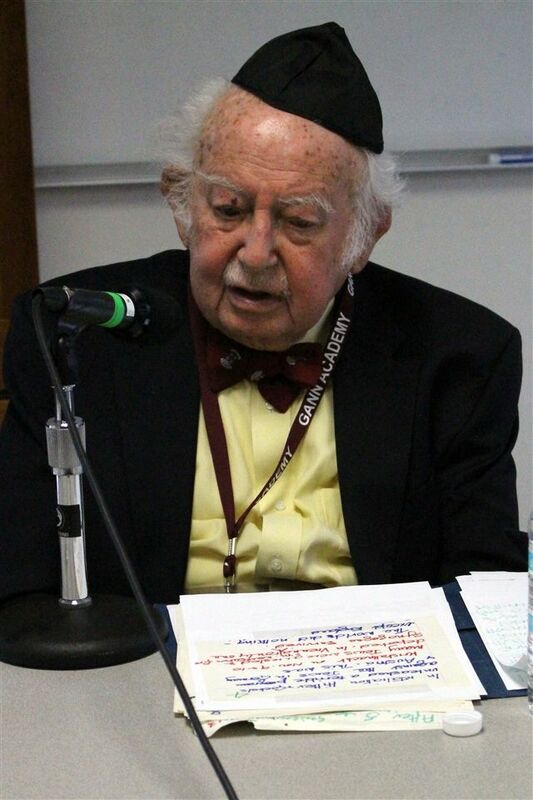 Gann will encourage you to think about what being Jewish means to you, and to explore how you want to live out your Jewish identity after Gann. Jewish values are core to everything we do at Gann. Students have the opportunity to opt into ethical discussion groups, in which students and faculty together study Jewish values and put them into practice in their everyday lives. Students report that these groups provide helpful new perspectives on priorities, relationships, and life balance, offering an antidote to the typical stress of the teenage years. Jewish Studies is an integral part of the Gann curriculum and helps students explore Jewish traditions, history, and texts, as well as their own relationship to Judaism and the modern Jewish world. Topics range from Israeli Politics to Torah and Talmud study, and from Bioethics to Jewish Mysticism. Students have the opportunity for reflection or prayer, both traditional and non-traditional. This sacred time provides each student with a meaningful experience in which to grow spiritually and emotionally, and to form deep connections with others. Options range from traditional prayer services to meditation and women’s groups. All students participate in Z’man Kodesh (Sacred Time) twice per week and additional prayer time is offered every morning and afternoon for interested students. Gann sophomores participate in myIsrael, a 6-week immersive trip exploring Israeli society, culture, and history. Students take part in an exciting mix of academics, desert camping, socializing, sports, art, high-tech, community service, and much, much more. The trip offers a 360-degree perspective on Israel, including meetings with Jewish settlers, Palestinians, and Arab Israelis to gain insights into the complexity of Israeli politics and society. 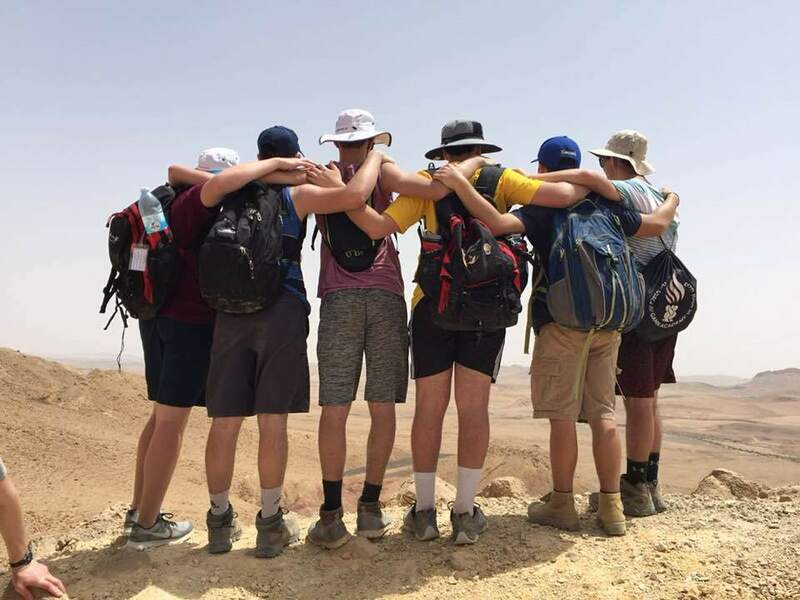 Unlike other trips, myIsrael incorporates Israeli peers who travel with the students and participate in several activities. Many of these same Israeli students visit Gann in the fall of 11th grade. Jewish holidays add fun and meaning to the school year and bring our entire community together in much-loved celebration. Whether eating lunch in the sukkah, lighting the menorah together at Chanukah, or eating hamantaschen on Purim, we experience the joy and traditions of the Jewish festivals together. Weekly pre-Shabbat experiences offer music and spirit, and help us to connect with each other and our shared traditions. One of the most loved Gann traditions is the Shabbaton (weekend retreat, Shabbatonim when plural). Once each year, students come together for grade-level Shabbatonim with their peers and teachers to celebrate Shabbat and grow closer as a community. These experiences build a depth of connection that is uniquely Gann and contributes to our student’s lifelong friendships. Throughout the year, guest speakers come to campus to talk about Israel and Jewish life from different perspectives. Speakers include authors, journalists, and political figures. After each talk, advisory groups meet to discuss and process how the speaker’s content may relate to their own views and opinions.